A new Virginia law will permit the sale of stronger liquor in the commonwealth, beginning July 1. A new Virginia law will permit the sale of grain alcohol up to 151 proof in the commonwealth starting Saturday. HB 1842 will allow an increase in the alcohol content of "neutral grain spirits or alcohol that is without distinctive character, aroma, taste, or color" sold in government stores from 101 to 151 proof. Rum, vodka and other flavored liquors with proofs above 151 can already be purchased in Virginia. The new law allows tasteless and colorless liquors, such as Everclear, to be sold as well. The bill was introduced by Del. Barry D. Knight, R-Virginia Beach. He put forth the legislation last year, but Gov. Terry McAuliffe wanted to slow it down so Knight could meet with colleges, advocacy groups and other Virginia officials in order to allay concerns, Knight said. "We got in there all together, told them 48 other states had it and also that there's at least eight or nine other alcohols that we sell in the state of Virginia that have 151 proof or greater," Knight said. "This is just the only one that will be 151 that's clear." Some colleges were concerned about the possibility of this type of liquor being sold around campus, Knight said. However, he explained that the Virginia Department of Alcoholic Beverage Control (ABC) controls the sale of liquor to the public. Therefore, "It's up to the discretion of the ABC board to make it so they cannot sell this product in certain radiuses around college campuses, if they so desire," Knight said. 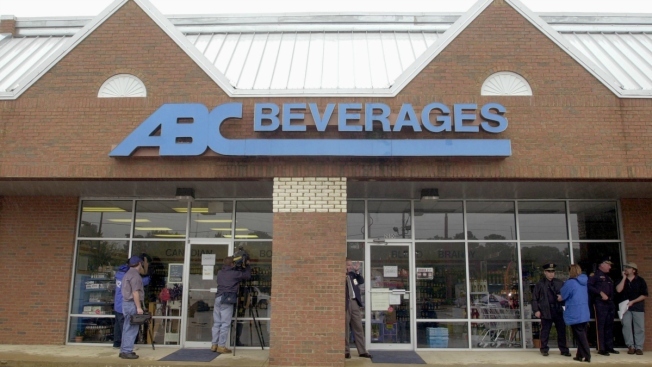 Virginia's ABC stores are a major source of revenue for the commonwealth and have contributed more than $1.8 billion to Virginia's general fund in the last five years, the ABC said in a statement. Regardless, Knight doesn’t expect the additional sale of this liquor to cause much change among consumption habits of college-age residents. "The statistics show that the overwhelming consumers of this [product] are 35 years of age or older," Knight said. "It hasn't been a problem in 48 other states.... It was only two states, us and Vermont, that didn’t have it." Other new liquor-related laws to begin July 1 in Virginia include SB 1578, which includes a clarification that requires people offering short-term rentals (such as Airbnb) to obtain a bed and breakfast license if they wish to offer alcoholic beverages to their guests. SB 1150 also comes into effect July 1. This law requires Virginia ABC stores to provide training for employees serving alcoholic beverages for on-premises consumption on how to recognize and prevent situations that may lead to sexual assault, according the ABC statement.